participating in ad hoc groups of experts under the Reimbursement Committee. The Reimbursement Committee has up to seven members of which two must be general practitioners. The members are appointed by the Danish Minister of Health and Prevention upon recommendation by the Danish Medicines Agency. One member is appointed by the Minister upon recommendation by the Regions' Board for Wages and Tariffs. The Reimbursement Committee members are appointed for four years, and together they have a wide-ranging expertise. The Reimbursement Committee members are appointed for four year terms. The Committee is expected to convene once a month. The meetings are usually held at the Danish Medicines Agency. The Chairman can decide to hold extraordinary meetings, if necessary. The Committee is composed of six physicians and one representative from Danish Regions. 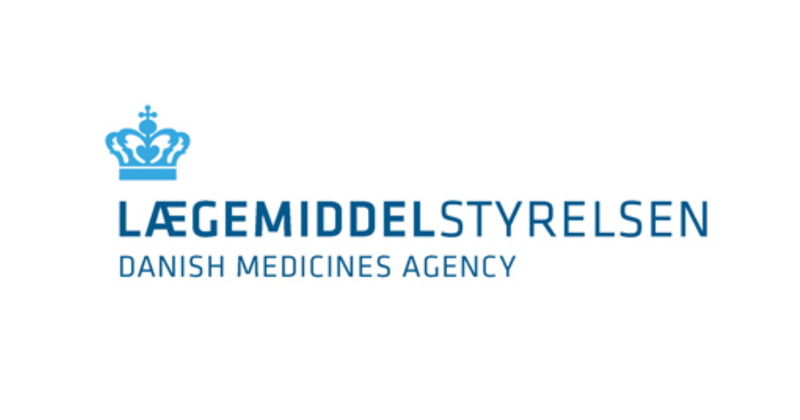 The composition of the Reimbursement Committee members is to join a wide-ranging medical and pharmaceutical expertise to provide the best possible medical advice to the Danish Medicines Agency in questions of reimbursement of medicines. The representative from Danish Regions serves to protect the Danish regions' interests in the Committee work. Pursuant to the Danish Health Act, two members of the Reimbursement Committee must be general practitioners. The Danish Medicines Agency invites interested parties to nominate members to the Reimbursement Committee. Everyone can nominate members to the Reimbursement Committee, and self-nomination is also possible. The Danish Minister of Health and Prevention appoints one member upon the recommendation of the Regions' Board for Wages and Tariffs. The Minister appoints the remaining six members upon the recommendation of the Danish Medicines Agency. The Minister also appoints a Chairman from among the members of the Committee. When committee members are appointed, importance is attached to their knowledge of, practical experience with and interest in rational use of medicine in general and the reimbursement area in particular. The members are appointed based on their medical skills and relevant experience in order to ensure a wide-ranging expertise in the Committee. Furthermore, it is also emphasised that the members must not have any financial interests or other interests in the pharmaceutical industry which could make them biased. The members must fill out and sign a declaration of interest form before the first meeting after appointment. These declarations must be attached to the meeting minutes. If a member has a conflicting interest, he or she must must leave the room during the processing of the case concerned. Thus, the member concerned neither participates in the review nor the decision-making process of the the case. You can download the member's declaration of interest forms in the box to the right (in Danish only). It is the responsibility of the individual member to ensure that the material the member receives as part of serving on the Committee is not disclosed to third parties. When a member resigns from the Committee, the member concerned must return all the confidential material received while serving on the Committee. The Danish Medicines Agency provides a secretariat for the work of the Committee. It is the Danish Medicines Agency's CEO who decides the extent to which the secretariat must assist the Committee. The Chairman and the secretariat plan the meetings by presenting the cases to the Committee. By the authority of the Chairman, the secretariat summons the Committee meetings in writing by at least 12 days notice if possible. Notices of meetings must include an agenda. Moreover, the members must to the extent possible receive any documents regarding the individual items. It is the Chairman who presides over the meetings. Draft minutes are sent out in Danish as soon as possible after the meeting and at the latest when the next ordinary meeting is summoned. Any objections to the minutes must be submitted no later than at the next ordinary Committee meeting. However, the Chairman and secretariat must be informed immediately if objections are made to the way in which the content of a decision has been presented. The Chairman signs the approved minutes. Subsequently, the minutes are published on the Danish Medicines Agency's website in Danish. In general, the Committee can only make a decision when the Chairman and at least four of the committee members are present. If there are fewer members present, the Committee can still make a decision. To do so, the attending members must find that postponing the case would be of significant inconvenience to the individual or individuals of the case, or would jeopardize important health considerations. The Committee decides by simple majority. In the event of a tie, the Chairman has the casting vote. In agreement with the Chairman, the secretariat can in special circumstances present a case to the Committee in writing outside a committee meeting. However, a member can demand that the case be processed at a meeting before a decision is made. If a committee member disagrees with a decision, the member can demand that this be recorded in the minutes. The Reimbursement Committee meetings are not open to the public. The Committee can only hold meetings with outside parties if agreed with the Danish Medicines Agency beforehand. Employees from the secretariat and other employees of the Danish Medicines Agency can attend the meetings to the extent the Chairman decides. The committee members must as far as possible inform the secretariat if they are unable to attend a committee meeting. The Committee decides by simple majority who must function as Chairman if the Chairman is expected to be absent for a longer period. time and place of the forthcoming ordinary meeting. The medical members and the member representing patient and consumer interests receive remuneration in accordance with the Danish Government regulations.